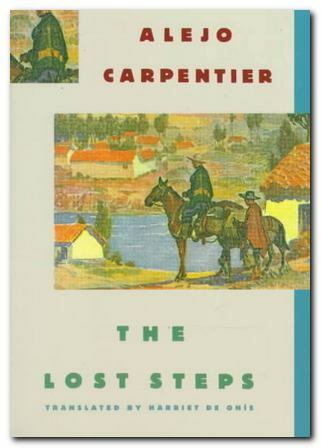 The Lost Steps was first published as Los pasos perdidos in Mexico in 1953. It was written whilst Alejo Carpentier was living in Caracas, Venezuela, an exile from his native Cuba which at that time was under the dictator Batista. The novel appeared in English translation (by Harriet de Onis) in 1956, published by Victor Gollancz in London. The novel; begins in what seems to be New York City. It is never named as such, but in the early chapters Carpentier satirises a cultural Bohemia which is reminiscent of Greenwich Village. The protagonist works as a musical composer in conjunction with film studios, and characters later circulate in ‘Central Park’. He then moves to Latin-America – at first to what appears to be Caracas in Venezuela. His journey then takes him through what is a geographic composite of South America, initially across the Andes mountains, then into the great plains, and finally into the most impenetrable parts of the jungle. This journey also includes a historical element – and one which involves travelling backwards in time (a favourite trope of Carpentier’s). The protagonist progresses from the contemporary metropolital city to what are essentially farmlands, then to a primitive village, and finally to encampments where people live in an almost stone-age elementalism. Geography is centrally important to the novel, because its principal theme is the tension between European-based and Latin-American culture. Carpentier was born in Switzerland, his parents were French and Russian, and he was educated in Europe. He later became a citizen of Cuba, but following the political disruptions of the 1920s he moved to Paris and became an active participant in the Surrealist movement. The essential tension in Carpentier’s world view is therefore one between European language, literature, and culture in general – and the desire to give voice to less well-known cultural ‘experience’ of Latin America. His novels – including The Lost Steps – are packed with the concrete nouns of indigenous cultural phenomena – the geography, the architecture, the plant life, music, food, and social customs of Southern America (and the Caribbean). This is now a well-observed feature of modern Latin-American writing – as if its authors were trying to give authenticity to their culture by naming its parts. We are not told the protagonist and narrator’s name, nor are his origins made clear. But on arriving in Latin America he feels re-united with his native language, which is Spanish. So we take it that he is a Latin-American who has been living in a commercialised and somewhat ‘decadent’ western culture, and who feels rejuvenated by his exposure to the older culture of the jungle and the native tribes. It is very difficult to ignore the fact that there are unmistakable similarities between Carpentier’s own biography and that of his protagonist. Carpentier worked for a while in an advertising agency; he had studied music; and whilst living in Latin-America he had made a number of excursions into jungle regions as part of musicological research. 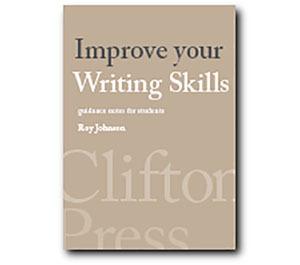 He eventually produced a study of La musica en Cuba which was published in 1946. So – at a thematic if not a biographical level, it seems safe to assume that the protagonist is exploring issues in which Carpentier himself had a profound interest. The narrator makes a very convincing case for the lives of the natives he encounters being no less sophisticated, because their skills exactly meet their needs, and they live in harmony with their environment. He gives a reasonably persuasive account of being enthusiastic about this travelling backwards into native primitivism. He has shed a legitimate wife in New York, taken with him on the journey his Bohemian mistress, then ditched her in favour of a native replacement because she could not adapt to conditions on the expedition. But it is hard to escape the feeling that there is also a sort of cultural wish-fulfilment on Carpentier’s part here. His protagonist feels the experience of his journey into the ‘heart of darkness’ as a form of spiritual re-birth. He is connecting with native life forces and experiencing ‘real’ Latin-American culture in a manner which is almost unthinkable to someone from a Western European culture. He swaps his ‘western’ lover Mouche (and his wife, who is on tour) for an un-named native woman who he takes as a more satisfying physical and spiritual soul-mate. This part of the novel makes uncomfortable reading in the light of ‘machismo’ Latin culture. But Carpentier finally rescues himself from crude caricature. The narrator thinks he can go back to complete the task of academic research he has undertaken (as a matter of honour) then return to the native experience he has discovered. But he discovers that he can’t – because his route is obscured by the very forces he has celebrated (the rains, the jungle) and the fact that native life has continued to meet its own needs, leaving him exposed as an outsider. He cannot integrate ‘here’ (amongst native life) because he belongs ‘back there’ (in the metropolitan city). Carpentier obviously felt a great deal of tension between his European education and cultural heritage, and his Latin-American sympathies – but he turned this tension to creative account by fusing the two. His major works deal with the impact of European ideas in the Latin-American region – The Kingdom of This World (1949) covers the first successful slave revolution in San Domingo (Haiti) and El siglo de las luces (Explosion in a Cathedral) (1962) deals with the consequences of the French Revolution in the Caribbean and South America. He also drenches his works in references to the two academic disciplines in which he was formally educated – architecture and music – as well as the general embedding of events into their historical and political context. He was the first to use the techniques of ‘magical realism’ (and he coined the term, lo real maravilloso) in which the concrete, real world becomes suffused with fantasy elements, myths, dreams, and a fractured sense of time and logic . Chapter One A jaded and un-named musicologist is living in what seems like New York City, partly estranged from his actress wife, who is on tour. His friend, a museum curator offer to send him on an expedition to recover primitive musical instruments in South America. Together with his mistress Mouche and friends he watches a showing of a commercially sponsored film for which he has composed the soundtrack.. Mouche wants to go with him on the expedition and proposes buying fraudulent antiques. Chapter Two He arrives in a coastal Latin-American city whose fabric is vulnerable to the vigorous natural elements of the region. He feels reunited with his native language and his sympathetic responses to the unsophisticated local culture leads to friction with Mouche. Whilst he is searching for antique shops, a revolution breaks out. He is besieged in the hotel, which is invaded by insects. The revolution ends, but snipers hold him down in a grocer’s shop. He and Mouche escape to the villa of a Canadian painter friend in a nearby town. He becomes irrationally jealous of the friendship between the two women. He is also critical of the Paris-centred enthusiasms of three lkocal artists and vows to continue his expedition and assignment. Chapter Three They make a bus journey across the Andes, collecting en route an Indian woman who he sees as the embodiment of native culture. A radio broadcast of Beethoven’s Ninth Symphony leads him to recall his family’s musical heritage and his own connections with Europe, from which he has been forced to flee by the horrors of the Second World War. They befriend Rosario the native woman and arrive at an oilfield town, where prostitutes ‘entertain’ the local miners. He begins to criticise Mouche for her lack of sensitivity and admire Rosario for her composure. They reach horse-rearing lands, and then visit the City of Ruins. They reach Puerto Anunciacion on the edge of the jungle where he argues violently with Mouche, then meets Adelantado, who recounts tales of semi-secret life in the jungle. Rosario’s father dies, followed by ritualistic funeral rites and a swarm of butterflies. There os an excursion to an abandoned mission on an island, where they meet a crazy herbalist and there are tales of El Dorado and ancient mythologies. Mouche makes a sexual approach to Rosario, who responds by beating her. Mouche develops malaria, during which period Rosario and the narrator become lovers. Mouche is sent. Back to Puerto Anunciacion, and he congratulates himself on his relationship with Rosario. A small party continues up river in canoes. Chapter Four They locate the hidden entrance to a tributary that leads into the heart of the jungle. The narrator is intimidated by the tropical atmosphere, and feels as if he is undergoing some sort of trial. The plant and animal life of the jungle. Imitate each other. There is a thunderstorm that threatens to capsize the canoes. The party finally reach a native village where the narrator gets the musical instruments he has been commissioned to find. Surrounded by primitive life and customs, he feels as if he has travelled back in time to the medieval age. They move on and encounter even more primitive tribes where he witnesses ‘the birth of music’ in a ritual funereal celebration. Chapter Five The party arrive at Santta Monica de las Venados, a ‘city’ village established almost from nothing by Adelantado. The narrator decides to stay in the village and live the simple life, but he also feels an obligation to deliver the collection of primitive musical instruments. He visits the ‘devil’s cauldron’ of voracious prehistoric plants. Inundated with days of ceaseless rain, he conceives a new type of musical composition, and uses a copy of The Odyssey for his text, but he quickly runs out of paper and ink. Pressure is put on him to marry Rosario, but when he asks her she refuses. Then one day an aeroplane arrives, in search of the lost explorer. He is divided in his allegiances, but decides to go back, stock up on essential supplies (paper and ink) then return to live in the village. Chapter Six The narrator flies back home and is received as a celebrity and a hero. His wife Ruth is pregnant. He sells his story (which he describes as ‘a pack of lies’) to a newspaper. But Mouche sells her version of events to a scandal sheet, which arouses Ruth’s anger. The narrator then tells Ruth about Rosario, and that he wants a divorce, which she refuses to accept. He finds the culture of New York frivolous and decadent. The divorce drags on; he runs out of money and is reduced to living in student accommodation.. He meets Mouche, spends the night with her, and feels full of self-disgust afterwards. Finally he sells a film score and returns to Puerto Anunciacion. But he fails to find the entrance to the hidden tributary because it is submerged in the flooded river. He meets Yannes who tells him that Rosario has married Marcos and is pregnant. The narrator realises that he is unable to retrace his steps and his previous experience. The Kingdom of This World is a marvelously compressed account of the slave uprising and first revolution of the early nineteenth century in San Domingo – now Haiti. Carpentier uses ‘magical realism’, long before it became fashionable, to depict the contradictions between political reality and religious or mythical beliefs. The story passes rapidly in a series of vivid scenes from the early unsuccessful uprising led by Macandal, then Bouckman who led Haiti in its fight for independence from France, and finally to Henri Christophe the revolutionary leader who later became Emperor of Haiti, and who built Sans Souci and La Ferrière Citadel. The Chase is set in Havana of 1956 where Batista’s tyrannical rule serves as the backdrop for the story of two young men whose lives become intertwined with the prostitute, Estrella. An anonymous man flees a team of shadowy, relentless political assassins, and ultimately takes refuge in a public auditorium during a performance of Beethoven’s Eroica Symphony. This novella is particularly interesting because of the multiple, disjointed narrations and its polyphonic structure.